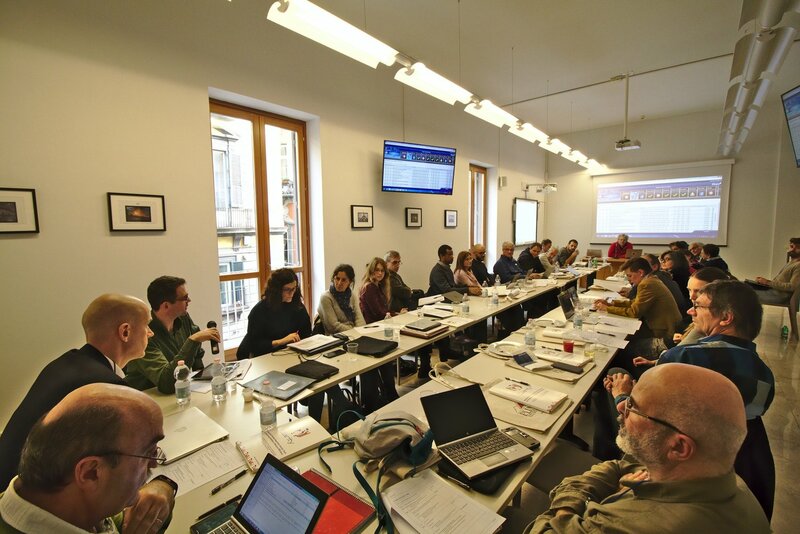 Plinius is an italian-based institute that researches on natural hazards like volcanic eruptions, earthquakes, or floods. Being located in the City of Naples between three major volcanoes it is essential for the responsible scientist, Giulio Zuccaro, to make cities in Europe safer concerning natural hazards. MCS: Professor Zuccaro, Beginning of June, the volcano Fuego erupted in Guatemala. Over 100 people are reported dead, over 200 were missing. Why is it so hard for us to predict if a natural catastrophe will happen? Zuccaro: The science today is not able to evaluate when a volcano will erupt. We can say that the eruption is approaching. But these are forecasts that could take two weeks two months or even two years. Plinius is monitoring the volcanic area of Campi Flegrei west of Naples, which is in a rest phase since 1982. When all the parameters monitored overcome a certain threshold in synchrony that means that something is going to happen. However, we could wait for months or for years if the volcano is going to erupt at all. MCS: Cities in Europe are growing. You are based in Naples, a city with nearly one million inhabitants next to the famous volcano Vesuvius. Is a more dense population and bigger cities in the European Union a dangerous factor here? Zuccaro: Yes, that is right. If you take the surrounding towns of Naples into account we are speaking of a population of nearly four million people. And here you do not only have to consider famous Vesuvius but also Campi Flegrei in the west and the volcano of island of Ischia. So, we are actually in the middle of three volcanoes (laughs). Obviously, the possible damage one or more eruptions can cause is very, very high. MSC: Plinius is also researching on other natural hazards like floods, landslides, and earthquakes in Italy. How important is it for you to exchange data on an EU basis? Zuccaro: Exchanging data in the European Union is one of the main issues for us. We have very precise models with which we can simulate possible impacts of natural hazards. But still, the essential part of the model is the data. Take buildings for example. How are they done? Are they made of concrete, of masonry? What is the state of roofs or floors? These are essential details when it comes to simulate impacts in a specific region. We have collected this data building by building via surveys that we have done in the past years. Without this data you cannot say anything about the element at risk, the exposure and inventory of the element you want to study. So, the exchange of data is important. For doing a work on a specific side you should know the data of the side perfectly. The model is mainly built up from the data of the site. MSC: You are working together with CLARITY, a project that implements climate adaption strategies for infrastructure projects in the European Union, which is supported by the EU Research Framework “Horizon 2020”. What can cities do to protect themselves from natural hazards? Zuccaro: Within CLARITY we provide our knowledge about natural hazards and the capability simulating possible impacts for elements at risk. For our point of view at the moment at CLARITY we are focusing of the impact of population that is at risk. MCS: CLARITY will also implement a Map of the European Union where project planners can see of a specific site is suitable for a specific project. Zuccaro: Yes, and we need this kind of data. I cannot find this kind of data in the web. There are many huge database projects within the European Union and this project makes them assessable for experts and project planners. MCS: Professor Zuccaro, you started researching natural hazards 30 years ago. How did our knowledge change during the years? Zuccaro: I tell you something (laughs). The time when I started writing on this issue, we were wild mosquitos. We were very few and nobody did care about what we were saying. Now, my sensation is that everybody wants to reinvent what we did it 30 years ago. But that is good. People are now increasing precautions. Now, if you are talking about risks, about impact, and about vulnerability, everybody understands what you mean. 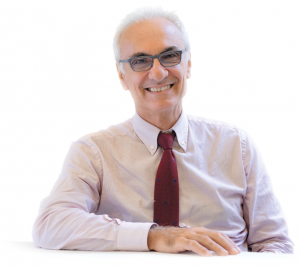 Guilio Zuccaro is an architect, associated professor in “Structural Mechanics” and “Theory of structures” at the University of Naples Federico II, and Head of PLINIVS Study Centre. He is the Director of Studies of the Regional School of Civil Protection. Since 2012 Zuccaro is a member of the Great Risks Committee for Italian Civil Protection Department (DPC). As Consultant of the Regional and National Civil Protection, he is a member of the working group for upgrading the Vesuvius and Campi Flegrei Civil Protection Plans. In the last 30 years, he has been engaged in several national and international research projects in the context of seismic, volcanic, and hydrogeological risk assessment, emergency planning, and decision making support, impact damage scenarios and hazard modeling, with particular reference to system vulnerability and time dependent dynamic scenarios. He is author of more than 150 papers and books on these topics. Naples, in the region of Campania, is third largest municipality in Italy after Rome and Milan with about 5 million inhabitants. The name Naples derives from its Latin name Neapolis, which means new city. About one third of the Neapoitan population works in the sector of public services. Even in the time of the ancient Romans and the Greeks Naples was a signifcant position in Italy. It was founded on the plain and eventually became one of the foremost cities of Italy and Magna Graecia. In 1995 Naples' whole historic city centre was named UNESCO world heritage. Each year one citizen of Naples produces about 582 kg waste, which makes a total of about 560.000 tonnes of waste per year. Only about 5.23% of about 120 km² of the city are public green areas including about 1.5km² that are part of a more rural area of the city.